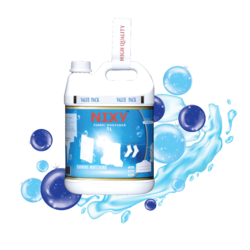 We, Wanova Clean LLP from 2016 are manufacturers & exporters and distributers of a high-quality range of cleaning products with a famous brand name called "NIXY" & " DR. KH" Dish Soap and Hand Soap, Stainless steel cleaner, Hand Sanitizer, Floor Cleaner and Glass Cleaner, Fabric whitener, Fabric Spot remover, Fabric detergents, oil Degreaser, Car Shampoo, Car Glass Cleaner, Automotive engine cleaners, all purpose cleaner, toilet & sink cleaner, antiseptic & antiseptic formulae which belong to Dr. KH etc. These products are admired for their long shelf life and accurate composition.. Offered products range consists of Dish Soap, Hand Soap, Floor Cleaner and Glass Cleaner etc. All offered products are processed in the well-equipped environment under the supervision of our experts by following norms using pure ingredients. In addition to this, these products are known for their perfect packaging, high effectiveness, and long shelf life. Also, these are used in the various house, restaurants, hospitals, factories, clinics,, 5 star hotels ,Food industries and companies. 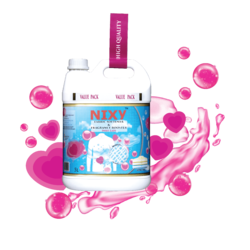 We Are dedicated to supply our products to different industries, where we have our cleaning products industry visible in the retail and also in the industrial institutions, In bangalore we are having very strong chain of delivery where we supply to our products. Wanova clean LLP, A is more than a manufacturer than cleaning products we are also dedicated to give the customers the joy of using our products with our outstanding rated packages. the products of cleaning product like Dish Soap and Hand Soap, Stainless steel cleaner, Hand Sanitizer, Floor Cleaner and Glass Cleaner, Fabric whitener, Fabric Spot remover, Fabric detergents, oil Degreaser, Car Shampoo, Car Glass Cleaner, Automotive engine cleaners, all purpose cleaner, toilet & sink cleaner, antiseptic & antiseptic formulae. We have variant range of fragrances and flavours. 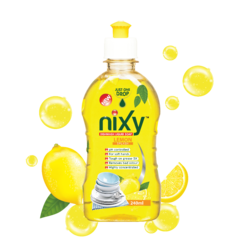 those fragrances ( LEMON, Orange, Strawberry, Jasmin, Lavender , sandal wood , etc )has been chosen to give outstanding customer satisfaction for all our products like Dish Soap and Hand Soap, Stainless steel cleaner, Hand Sanitizer, Floor Cleaner and Glass Cleaner, Fabric whitener, Fabric Spot remover, Fabric detergents, oil Degreaser, Car Shampoo, Car Glass Cleaner, Automotive engine cleaners, all purpose cleaner, toilet & sink cleaner, antiseptic & antiseptic formulae. We are very happy to inform you that we are indias highest varaties of products manufacturers, exporter & distributor in india. Our aim to stay always with new innovational ideas, Keep customers 100% satisified and with contiouse development.